2. Housing Wrench, Tubing, Spout, Faucet Diverter, Accessories. *Does Not effectively reduce Fluoride. g. Other + charged metal ions. The Compact Model features our Breakthrough Anti-Radiation Technology, and is a perfectly balanced for basic filtration needs. The COMPACT system is Ideal if you're on a limited budget, need a unit to travel with, don't need Fluoride Reduction or low micron sediment/cyst removal and/or have very limited countertop space. The system also features a built-in flow regulator (a commonly overlooked feature) to ensure the water's not passing through the system too quickly, this in turn provides optimal contact time with filtration media and more effective contaminant absorption. - Natural Zeolite and Calcium release trace Electrolytes & Minerals, in-turn, helping to increase pH to make water naturally alkaline, nutritious and pH balanced. - Improves Negative REDOX (antioxidant potential), by charging the water with extra electrons (subatomic negative charges), turning your water into a natural free-radical fighter, which may help slow the human aging process. This is due to the electrochemical process that takes place using the KDF55® Media. 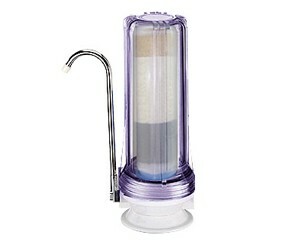 The filter unit body is NSF Certified and made of BPA-Free & Phthalate-Free, Precision-Machined High-Strength Plastics, the Spout is Stainless Steel (non-corrosive) and all metal parts are Lead-Free. We do not cut corners on quality. By purchasing any of our products, you will also be supporting the US economy, workers and our company. For Fluoride and Wide-Range, High-Capacity Chemical reduction see our ULTRA model, or if Fluoride is not a concern but you'd like greater capacity for Wide-Range Chemical and Particulate Reduction see our CLASSIC model. 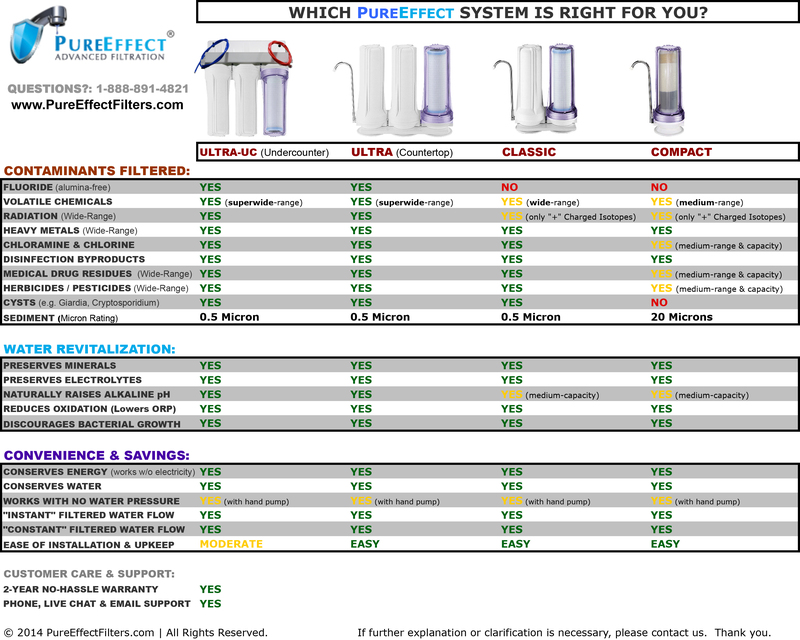 Filter Replacement: Every 4 months for consistently superior performance.